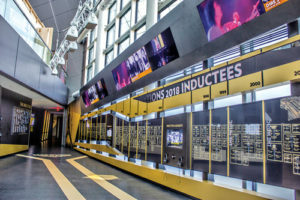 If your business event needs to be a one-hit wonder, The Rock Hall in Cleveland just might be the place to book. 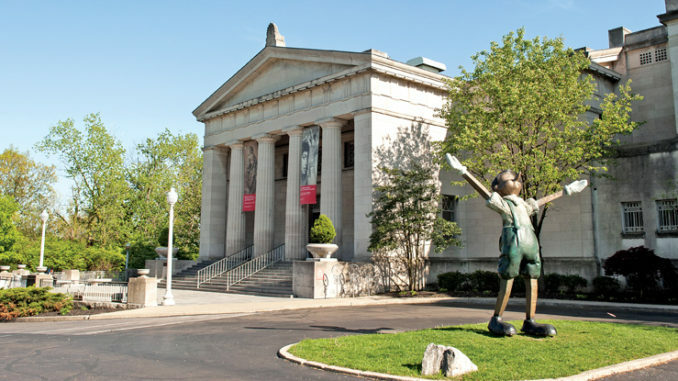 The Cincinnati Art Museum is home to more than 67,000 works. With music lovers’ exhibits that have actually included One Hit Wonders, this Hall is no flash in the pan as a business meeting or event venue. It has accommodated everything from 10-person meetings in its conference rooms to 2,000-person museum buyouts, “and everything in between,” says Mike Detling, the venue’s manager of sales. “We are the world’s only Rock & Roll Hall of Fame, so event planners won’t find a more unique venue,” he says. “Our 160,000-square-foot glass pyramid sits right on Lake Erie. Depending on group size and evening of the week, the Hall can host private museum buyouts or non-exclusive events that occur while the museum is still open, he adds. The Rock & Roll Hall of Fame inductee signature wall. Excitement and energy are built-in features of the Rock Hall. “Event planners should be looking for a nontraditional event with us. Our building lends itself well to events where guests are constantly moving … roaming throughout the exhibits while mingling, eating, drinking and exploring all seven levels with three state-of-the-art theaters and over 30,000 artifacts on display,” Detling says. 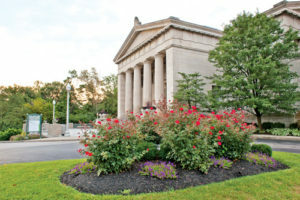 A slower pace and perhaps a more refined collection of art and artifacts to browse can be found at the Cincinnati Art Museum, set high in Eden Park. With six meeting rooms, and a banquet and theater accommodating 300 each, the museum makes an elegant setting for corporate events and retreats. Its art installations and collection span 6,000 years and include more than 67,000 works. 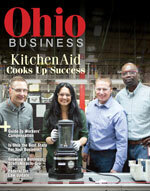 In Ohio’s capitol city, the Greater Columbus Convention Center supplies full-service consideration for its business meeting guests, from a comprehensive event-planning guide to catering and in-house event planning and production. Partnering with vendors to tailor the look, space, food and music for a corporate event, the Convention Center is situated near Columbus’ Short North on High Street in a corridor convenient to dining, nightlife and hotels. Hofbrauhaus Columbus, modeled after the 400-plus-year-old Hofbrauhaus in Munich, offers another upbeat and richly themed space for business meetings and events, complete with craft bier brewed onsite and authentic German fare served in traditionally decorated dining rooms.